This is a tiny little book that packs a punch. There are so many things we want to waver on every day because our culture tells us we are unloving. 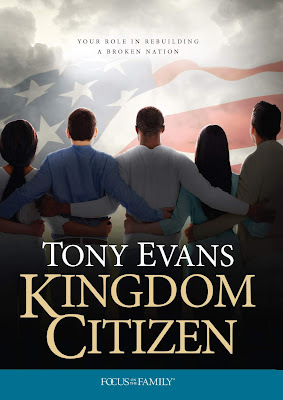 Tony reminds us that pointing people away from God's truth and righteousness is hateful. It is not loving. I closed the book being reaffirmed to stand the ground that God has given us. Actually invite the kingdom and love according to God's word. May we be a kingdom people. Dr. Tony Evans offers a healthy dose of hope: the solution to our nation’s problems and unrest isn’t out of reach. The solution is here―and each one of us as Kingdom Citizens has a vital role to play. Be assured that our God is greater than any challenge―and He has promised to equip His people. In Kingdom Citizen, you’ll discover how to respond in faith, in spite of a country and culture in decline.